County Oaks can accommodate small group get-togethers. We’ve had small family reunions, Harley and Gold Wing motorcycle touring groups, church planning sessions, and just a group of friends get together. With eight rooms and the ability to accommodate up to 18 people (two rooms have an extra single bed), and with all the porches and other common parlor areas, and grounds, Country Oaks provides an ideal atmosphere for these type of gatherings. For motorcycle groups, the many scenic and well kept paved highways which wind and weave through the central Ozarks provide lots of opportunities for all-day tours. Mountain View has become somewhat of a Mecca for motorcycle enthusiasts with many groups touring the area and returning time and time again for both the area rides and the relaxing atmosphere here at Country Oaks. Country Oaks is also ideal for small off-site business planning meetings. The Farm House dining room can accommodate meetings for up to 24 people and there are two parlors for separate ‘breakout’ sessions. The ‘guest pantry’ is always available for snacks and refreshments. 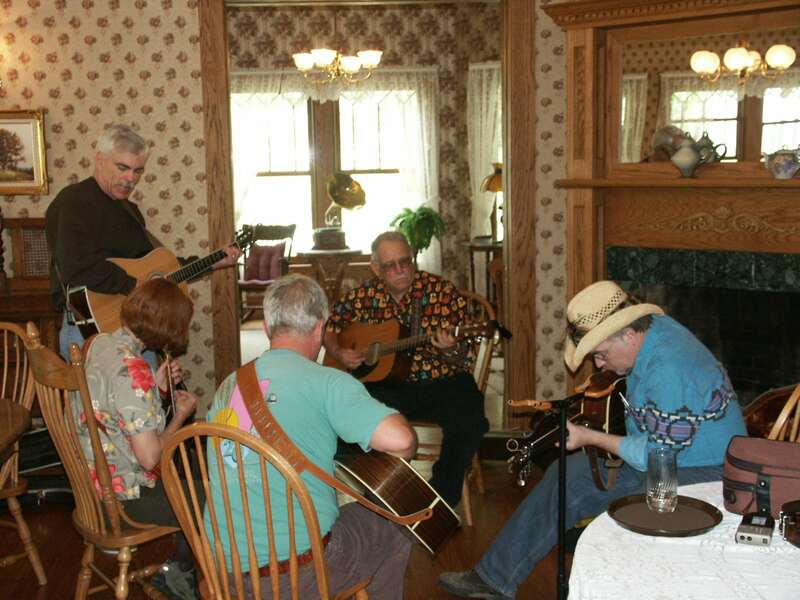 During the winter season, we can arrange to have local musicians come in and perform in the parlor – “Parlor Pick’ in” for those of you not familiar with old time music gatherings which were held in someone’s parlor. 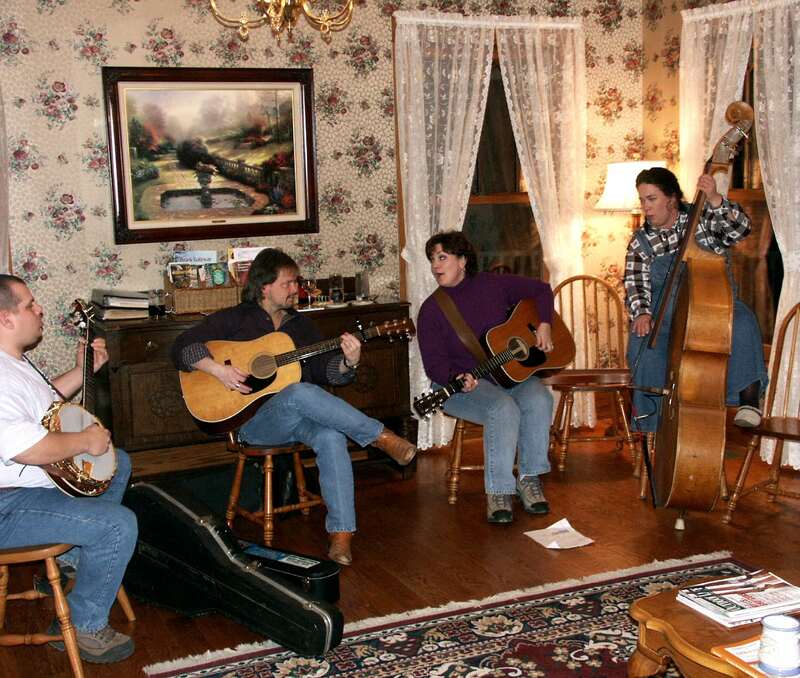 For a nominal additional fee per room, your group can have a private musical show. This has been a popular feature over Country Oak’s winter season and various groups have returned time and again to take advantage of these prearranged special evenings. Please call regarding information on group rates and policies.